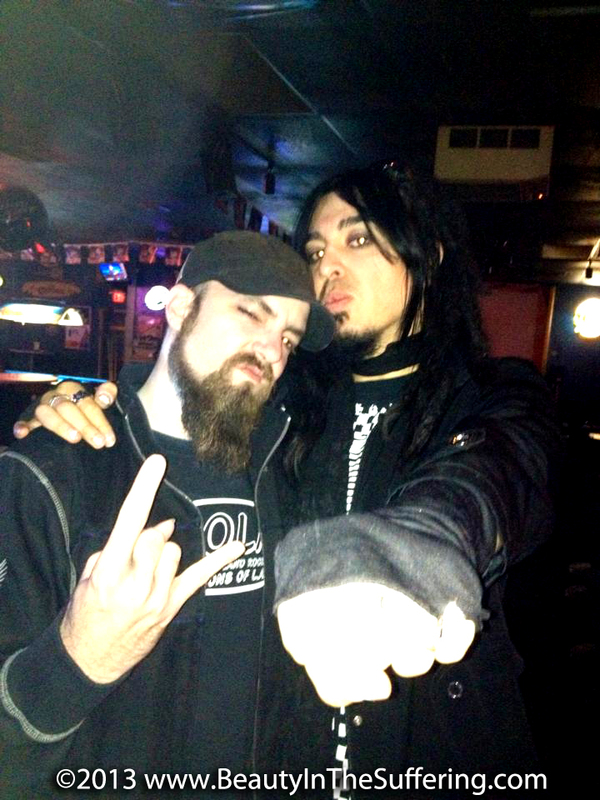 DieTrich Thrall (right) with Ryan Farrell of MUSHROOMHEAD @ The Chameleon Room in OKC for the Mushroomhead show on 10.07.13. 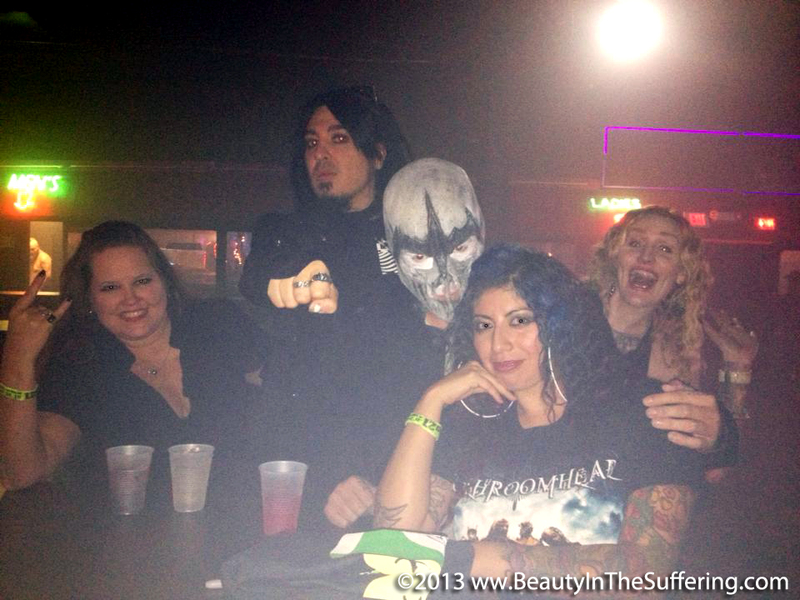 DieTrich Thrall (second from left) with Waylon Reavis of MUSHROOMHEAD and friends @ The Chameleon Room in OKC for the Mushroomhead show on 10.07.13. 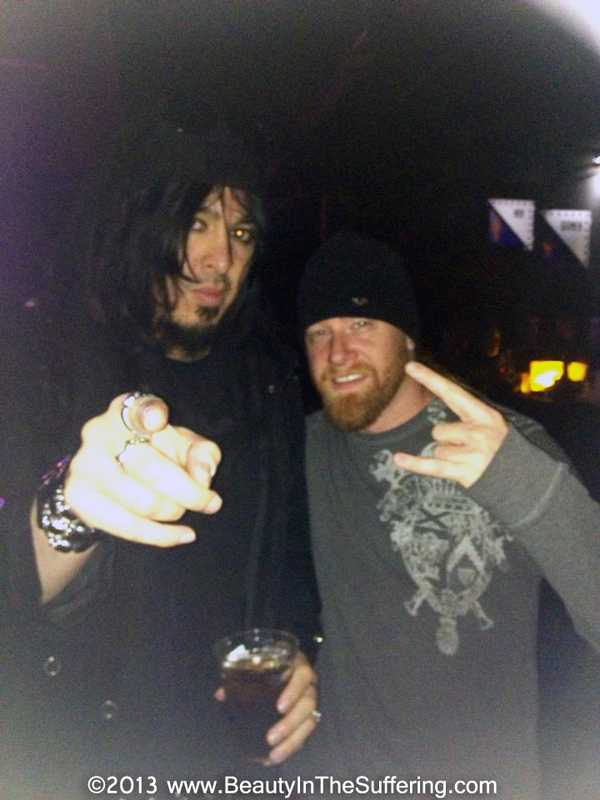 DieTrich Thrall of BEAUTY IN THE SUFFERING (left) with DAVE LIZZIO of NONPOINT (right) @ The Boiler Room after party for the Device show on 04.23.13 at Tree’s in Dallas, TX. DIETRICH THRALL of BEAUTY IN THE SUFFERING with DAVE LIZZIO of NONPOINT during our recent sojourn down to Dallas, TX for the DEVICE, NONPOINT, and GEMINI SYNDROME show at Tree’s IN Dallas, TX. 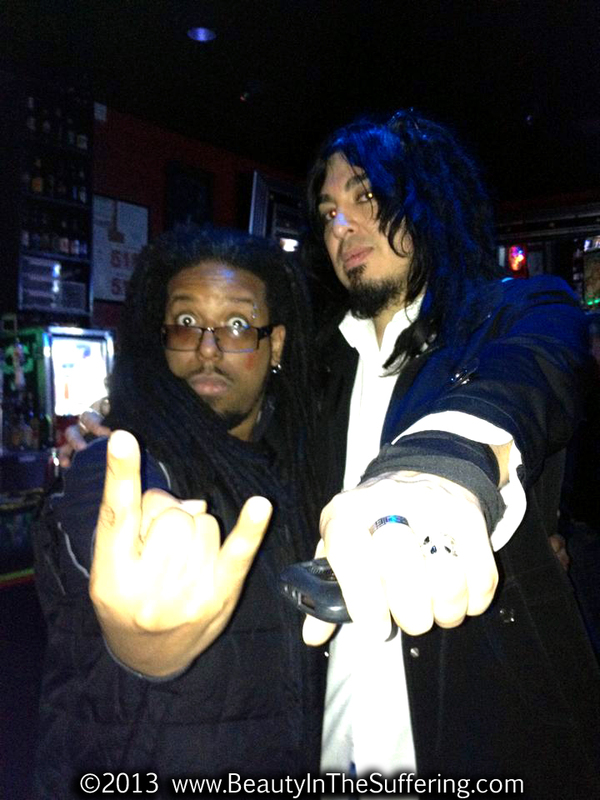 DieTrich Thrall of BEAUTY IN THE SUFFERING (left) with RASHEED THOMAS of NONPOINT (right) @ The Boiler Room after party for the Device show on 04.23.13 at Tree’s in Dallas, TX. DIETRICH THRALL of BEAUTY IN THE SUFFERING with RASHEED THOMAS of NONPOINT during our recent sojourn down to Dallas, TX for the DEVICE, NONPOINT, and GEMINI SYNDROME show at Tree’s IN Dallas, TX. DieTrich Thrall of BEAUTY IN THE SUFFERING with NONPOINT and friends @ The Boiler Room after party for the Device show on 04.23.13 at Tree’s in Dallas, TX. 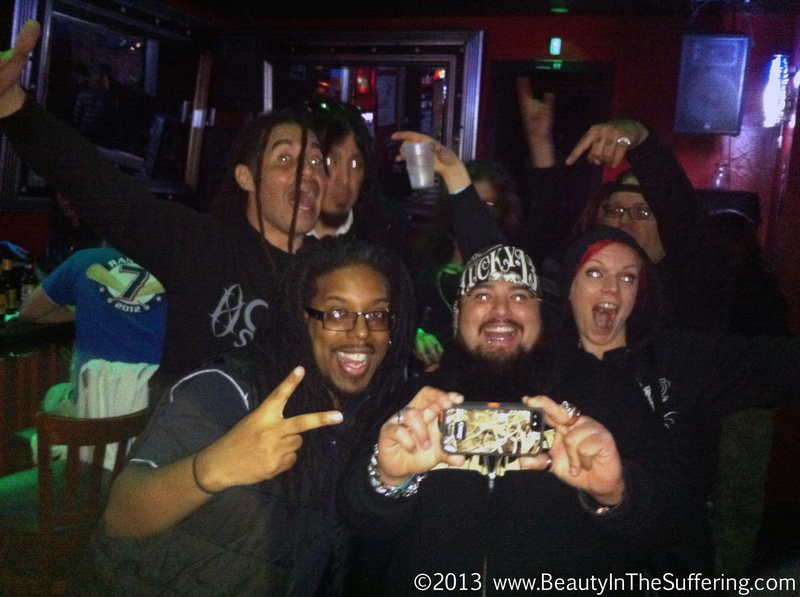 Another quick pic of DIETRICH THRALL of BEAUTY IN THE SUFFERING with ELIAS SORIANO and RASHEED THOMAS of NONPOINT and friends during our recent sojourn down to Dallas, TX for the DEVICE, NONPOINT, and GEMINI SYNDROME show at Tree’s IN Dallas, TX. 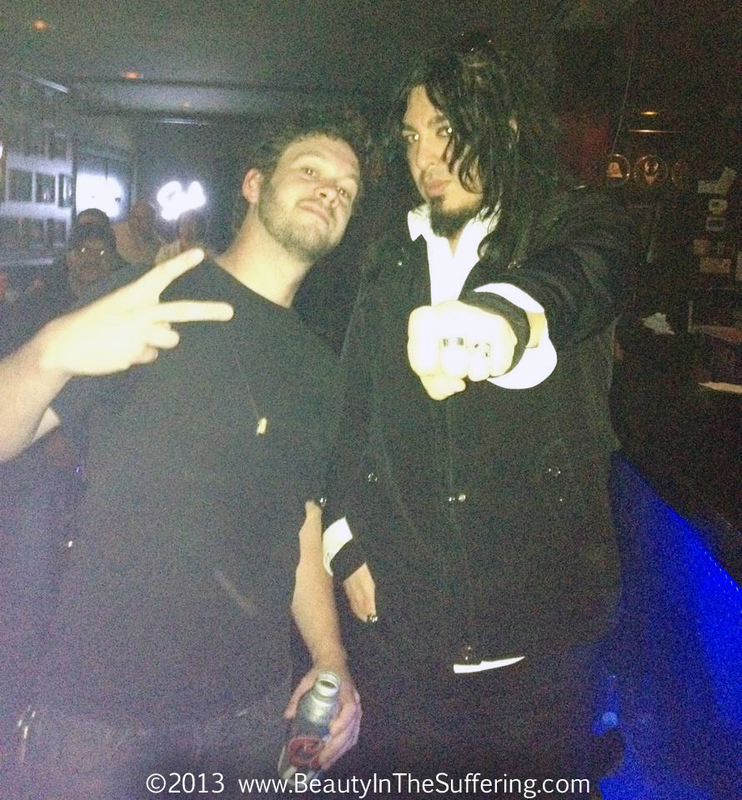 The pic is a fuzzy as we were at that point..
DieTrich Thrall of BEAUTY IN THE SUFFERING (left) with Elias Soriano of NONPOINT (right) @ The Boiler Room after party for the Device show on 04.23.13 at Tree’s in Dallas, TX. 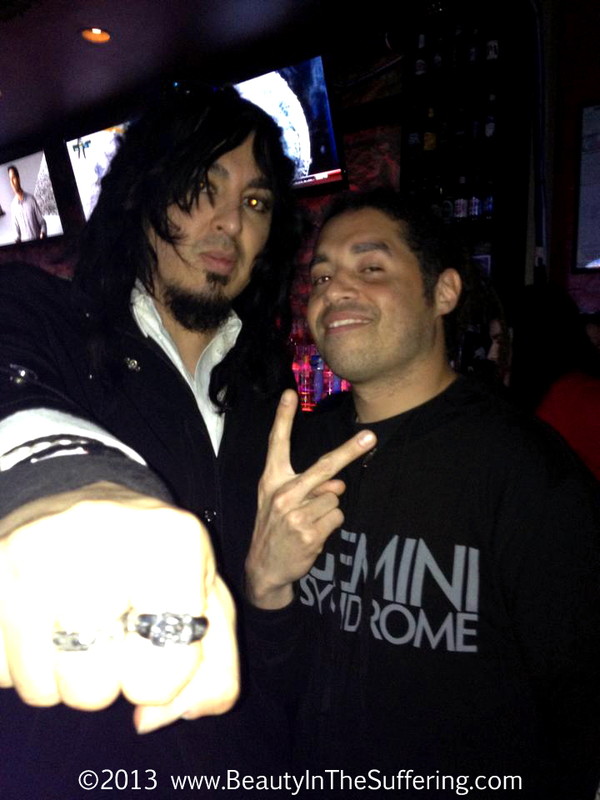 Another quick pic of DIETRICH THRALL of BEAUTY IN THE SUFFERING (left) and ELIAS SORIANO of NONPOINT (right) during our recent sojourn down to Dallas, TX for the DEVICE, NONPOINT, and GEMINI SYNDROME show at Tree’s IN Dallas, TX. DieTrich Thrall of BEAUTY IN THE SUFFERING (left) with Aaron Nordstrom (right) of GEMINI SYNDROME @ The Boiler Room after party for the Device show on 04.23.13 at Tree’s in Dallas, TX. 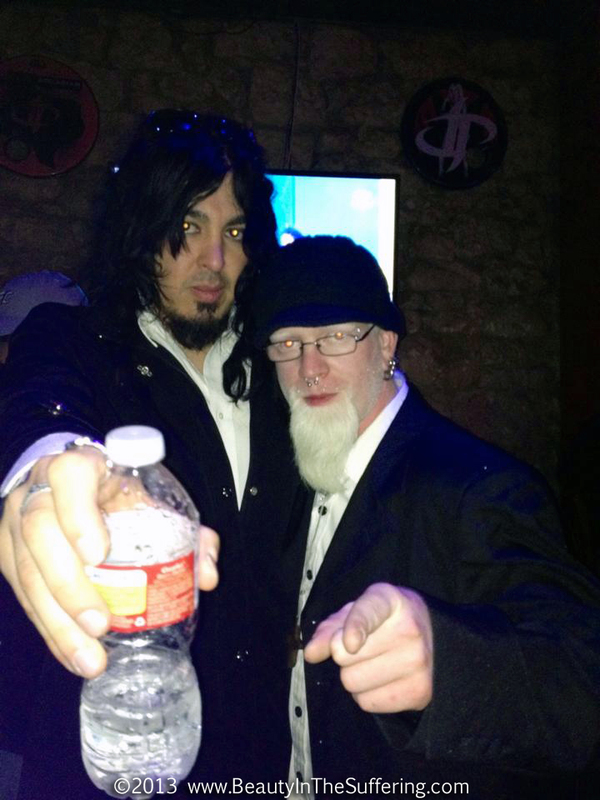 Another quick pic of DIETRICH THRALL of BEAUTY IN THE SUFFERING (left) and Aaron Nordstrom of GEMINI SYNDROME (right) during our recent sojourn down to Dallas, TX for the DEVICE, NONPOINT, and GEMINI SYNDROME show at Tree’s IN Dallas, TX.